Thank you for continuing to pray for Dr. Richard and RREACH. Dr. Richard is leaving today for a 12-day trip to India and SE Asia. Please pray for travel mercies and divine appointments during his time abroad. Also, pray for the Lord to bless this special time in his homeland. 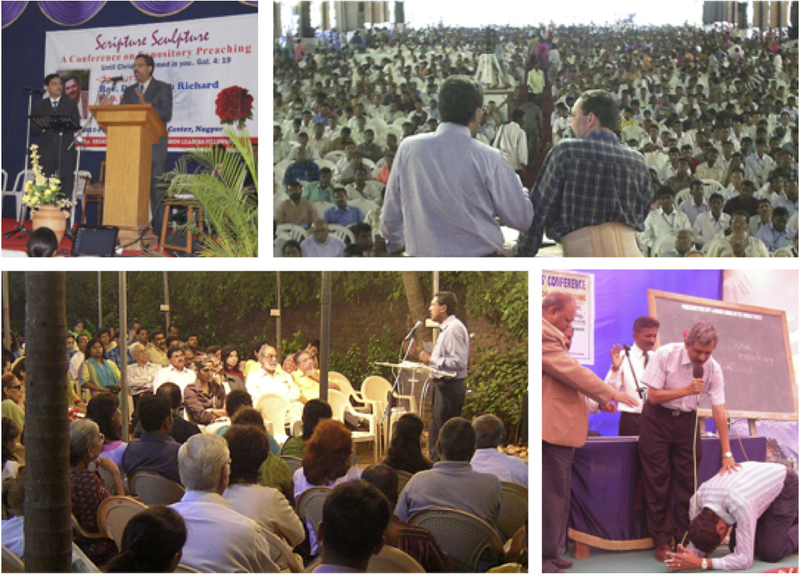 Ministering in India over the years. Preaching at two churches: Pray that God would use Dr. Richard’s preaching to bring glory to the Lord Jesus Christ. Speaking at two evangelistic events: Pray for more than half in attendance to be unbelievers and for soft hearts to respond to the Gospel. Speaking at a leadership conference and other meetings: Pray those attending will arrive safely and that Dr. Richard’s message is encouraging to them. Dr. Richard also will take a one-day trip to SE Asia for meetings related to the 2016 Global Proclamation Congress for Pastoral Trainers. Please pray for God’s wisdom and timing as these discussions take place. This entry was posted in RREACH ministry prayer, Trip request and tagged Congress, India, personal proclamation, Thailand, travel by pray4rameshrichard. Bookmark the permalink.